I got you intrigued, didn’t I? 🙂 You may not have imagined that this was going to be a vegan frozen dessert, with really healthy ingredients. 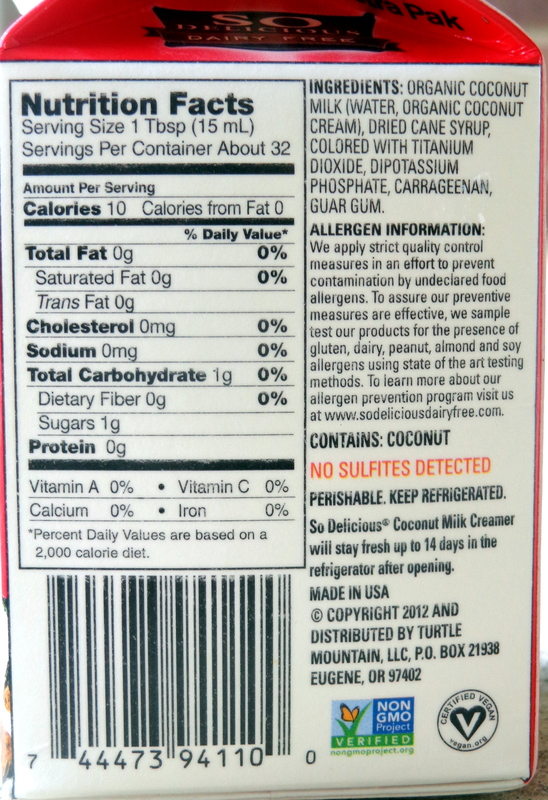 I found this bottle of coconut butter in the food store recently and bought it with glee. 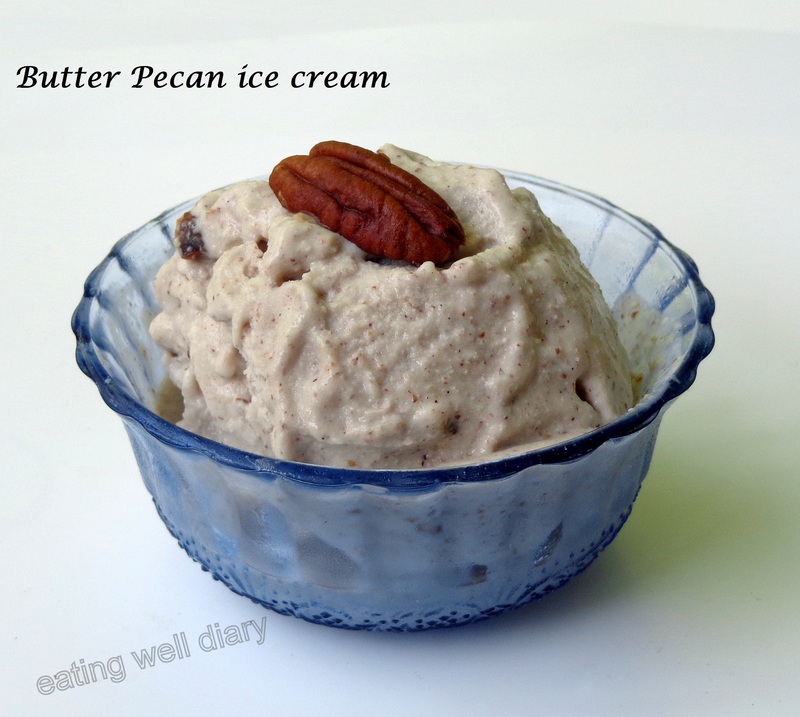 What better treat to try with it than butter pecan ice cream? It came out really tasty and creamy, you would not believe that it is vegan. I do not have any objection to regular butter (used in moderation). But I am submitting this recipe to the Virtual Vegan Potluck 2, I went with all plant-based ingredients, and I’m absolutely thrilled with the result! Party-goers at Angie’s Fiesta Friday #24, I come to the party a little early with this guilt-free dessert! While I’m talking about the recipe for this ice cream, I thought I might as well elaborate on the ingredients. 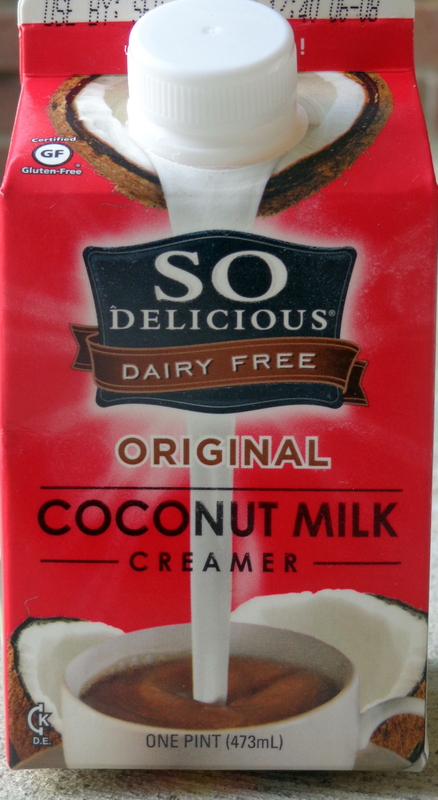 I have used coconut creamer, available in the organic milk section. Regular coconut milk could be used, instead and add extra sugar. I just found this works well in place of cream. 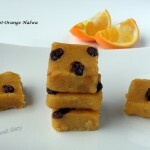 I have also used Spectrum organic shortening and coconut butter instead of regular butter. 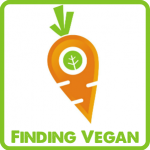 These sound like exotic ingredients, but there may be similar products or non-vegan versions available locally. * Peel and freeze half a banana. Soak 3/4 cup pecans in water for at least 5 hours. * Combine coconut creamer, tapioca starch, raw sugar and vanilla extract in a pan on low heat. Stir and let it boil once while the mixture gets thickened. Cool in the fridge. * Toast 1/2 cup pecans in 1 tbsp. coconut butter. Set aside. * Drain pecans and blend with 1/4 cup water. Add chopped frozen banana and blend once more. Then combine with the thickened cream, shortening, salt and 2 tbsp. coconut butter and blend in batches. * Transfer mixture to an ice cream machine and churn according to instructions. Mine took 20 minutes. Towards the end, add toasted pecans and save some for garnish. * Enjoy right away or freeze in an airtight container. Luscious! 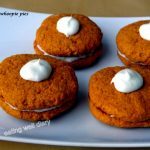 Coconut butter – – wouldn’t have thought of that! So glad you shared this at the weekly Potluck. thank you, Annie. Thank you for the opportunity! Loved the combo and looks yummylicious Apsara. ..
thank you for hosting the event, Poppy. It’s a great opportunity for me. 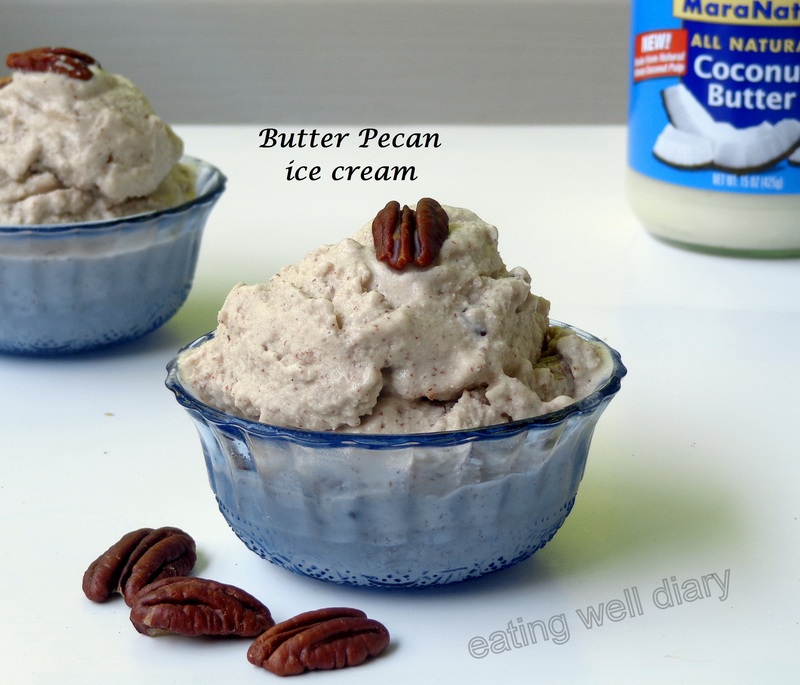 Pecan ice cream sounds yummy.. Coconut milk is nice addition. Never used spectrum shortening will read about it. Yes Vidya, the combo works well in this! Yum Apsara! You did a great job on this! Everyone at the party is going to love it! 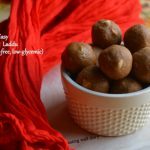 Apsara, this looks and sounds fabulous – pecan and coconut yum – thank you so much for sharing this with us – I think it will be very popular at the party! Happy Fiesta Friday! I’m glad you like it Selma. Thank you for hosting FF, it seems like a daunting task! Have a great weekend! this looks so yum 🙂 Apsara what can i substitute for pecan ?? thank you! Any nut, really. I would suggest almonds or walnuts. glad to meet you at the party..
thank you, Nimmi. Nice to meet you. Happy Fiesta to you too! This looks and sounds so delicious. I have been meaning to make a coconut based ice cream and just not got around to it so thanks for the inspiration. So much inspiration this week at FF! I’m glad you like it, Hilda. 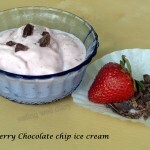 I’m in love with dairy-free ice cream after I made this one. : Thank you for hosting this week’s party! Wow! You definitely piqued my interest. The ice cream looks so delish. 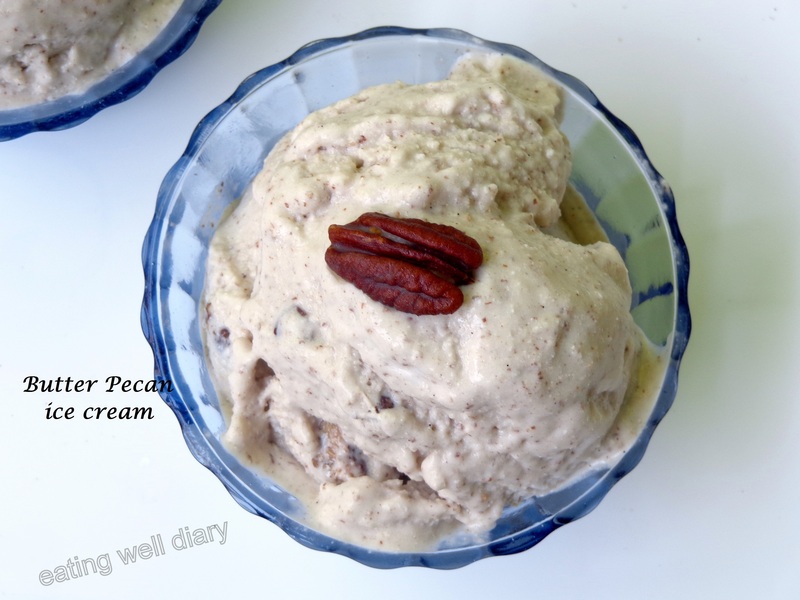 And imagine, a vegan pecan butter ice cream! Glad you like it. Thanks for visiting! I just bought a nice cream machine and am collecting recipes. Yours sounds delicious. Do let me know if you try it, Mary. Thank you for visiting!